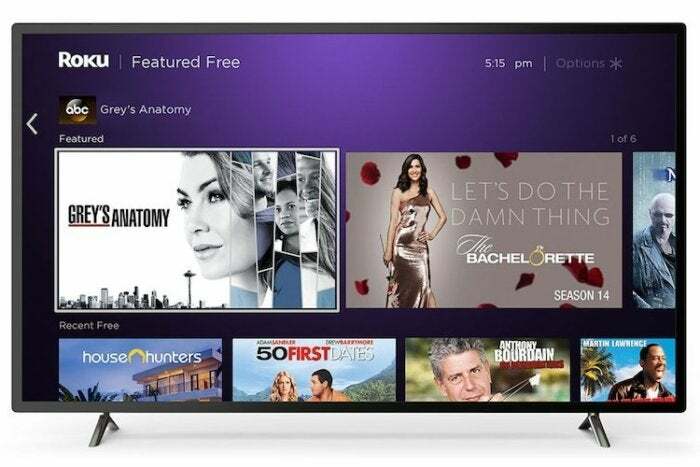 A new Roku home screen section highlights the company's shifting priorities. Over the past few years, Roku has been gradually transforming itself into an advertising business, but until now it wasn’t easy to notice. Sure, Roku’s streaming players and smart TVs have long included advertising on the home screen, and the app shortcut buttons on its remote controls are paid placements. Yet for the most part, Roku has avoided making drastic changes to its products for the purpose of serving up more ads, even as the company tells Wall Street that it’s sitting on a huge advertising opportunity. That changed earlier this month, when Roku began rolling out a major update to its home screen. With a new section called “Featured Free,” users can find ad-supported video from apps like ABC, Fox Now, The CW, Sony Crackle, and Pluto TV. It’s Roku’s first attempt to recommend content right from home screen, which until now has focused more on a traditional grid of apps. As if to highlight its advertising ambitions, Roku also launched a web version of The Roku Channel earlier this month, letting anyone watch the company’s ad-supported video collection even without a Roku player or smart TV. It’s available at therokuchannel.roku.com, and it works on computers, iOS devices, and Android devices. (It also technically works with the Silk browser on Fire TV, but signing up is clunky and I had some issues with video playback.) After signing in with a Roku account (or creating one), you’ll also get a Continue Watching tab that lets you pick up from where you left off on any device. These developments aren’t bad for cord-cutters, but they do reflect Roku’s changing priorities in a way that previous hardware launches and software updates haven’t. More than any other streaming TV platform, Roku is now trying to establish itself as a source for free, ad-supported video. The big question now is whether that will ultimately come at the expense of ad-free content. To be clear, I like the new Featured Free section, which solves one of the biggest problems in streaming TV today: Few people realize how many movies and shows they can watch for free, because everything’s scattered across disparate apps. Before perusing the new section, for instance, I didn’t realize that Pluto TV has dozens of free Anthony Bourdain: No Reservations episodes, or that I can finally get around to watching Hot Fuzz for free on Sony Crackle. One can imagine this section expanding over time. Right now, it offers just a handful of categories, such as Featured, Recent TV, Classic TV, Comedies, and Dramas, with no more than 10 titles in each category. It’d be nice if Featured Free included even more genres, additional content sources (PBS is notably absent), a Continue Watching tab for things you’ve previously selected, and perhaps even recommendations based on what you’ve already watched. Featured Free could also use some sources of news, especially now that Roku has removed the dedicated News section from its home screen. (This section, which strung together a daily briefing from various news sources, did not quite got the attention it deserved.) Roku devices offer lots of livestreaming news sources, including CBS News, ABC News, Newsy, Cheddar, and NewsOn, but users might not know it without browsing Roku’s Channel Store. Even now, though, Roku does a better job of highlighting free content than other streaming devices. Amazon’s Fire TV interface is more concerned with selling additional content to Prime subscribers, via both on-demand video rentals and extra subscriptions through Amazon Channels. Apple TV, meanwhile, panders more to cable subscribers, with an interface that emphasizes cable-authenticated video from TV network apps. Compared to Apple and Amazon, Roku has a bigger incentive to push ad-supported video. It’s not looking to profit handsomely from hardware sales like Apple, and it doesn’t offer any video subscriptions like Amazon. Instead, Roku’s goal is to get its software onto as many TVs as possible, and then profit through advertising at scale. That means putting more ad-supported video front-and-center. Roku may not remain fixated on ad-supported video forever. A couple months ago, Variety’s Janko Roettgers reported that Roku is building a subscription marketplace similar to Amazon Channels. (He cited unnamed sources.) 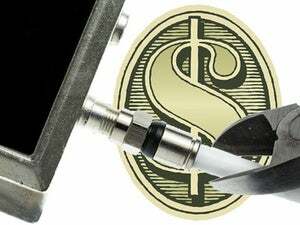 This would allow users to combine multiple subscriptions under one bill for channels like HBO and Showtime, while putting all those videos in one convenient location. To speculate a little bit, Roku could embrace ad-free video with its own home screen section, in the same way that Featured Free highlights ad-supported video now. The Roku Channel could also play a role, serving up video from users’ subscription services on iOS, Android, and other non-Roku platforms. The result could look similar to what Amazon is doing now—with the Fire TV and Prime Video apps serving the same Amazon content across all platforms—but with a heavy dose of ad-supported video as well. 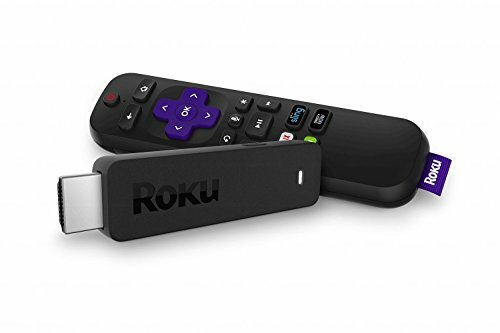 In terms of software, Roku has always erred on the conservative side, avoiding sweeping changes in favor of smaller incremental improvements. This is no more evident than in Roku’s app grid, which for years has been the primary way to navigate through content. The Featured Free section is a departure from that time-worn approach, and could plant the seeds for much larger changes to come.